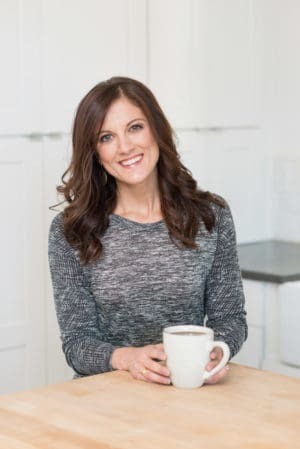 Jessica is a Registered Dietitian Nutritionist in Boulder, CO. She’s been practicing nutrition for more than 15 years helping those she works with find freedom from diets and calorie counting and find true health and wellness through a real food diet. She firmly believes that all disease starts in the gut and healing comes from real, traditionally prepared foods like sauerkraut and bone broth. 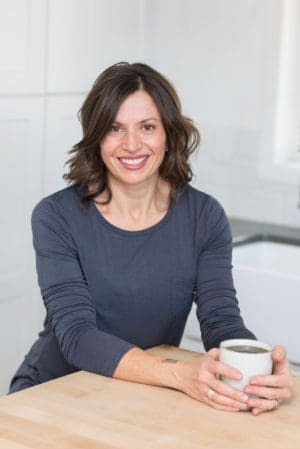 Her passion for delicious, wholesome and nourishing food is contagious, having been described as “a real food evangelist”. In her spare time, Jessica is mama of two young daughters, wife to a registered nurse and Jack-of-all-trades, CrossFitter, overzealous gardener, keeper of backyard chickens, telemark skier and lover all outdoor adventures with her kids. Cooking is her therapy and there’s always something bubbling and fermenting on her kitchen counters. Education: Jessica received her Bachelors of Science in Human Nutrition & Dietetics from Montana State University-Bozeman and completed her Dietetic Internship at the University of Alaska. Stacie is a Licensed and Registered Dietitian from Minnesota striving to make a positive difference in as many lives as she can through sound nutrition and lifestyle guidance. Her strong passion to help others learn quality, REAL Food nutrition is the driving force behind the co-development of The Real Food Dietitians brand. Stacie continuously emphasizes that nutrition begins within and more than anything is the foundation of our health and well-being. So often we focus on our physical appearance and forget about what truly is most important, our internal health and beauty. Like Jessica, you will not find Stacie recommending calorie counting, food restrictions, or encouraging “diet” foods. Instead her goal is to help others develop a healthy more mindful relationship with food and learn how to enjoy non-processed, nourishing, healing, real foods, in a way that works for them! Education: Stacie received her Bachelor of Science degree in Dietetics at the University of Wisconsin Stout and completed her post-graduate internship at the Minneapolis VA Health Care System. She is married to her husband Shane and they have two furry 4-legged children, Walter and Lucy Lou. Learn more fun facts and tidbits about Stacie here.